In this lesson, we will explore three very small but important words in the English language: the articles a, an and the. 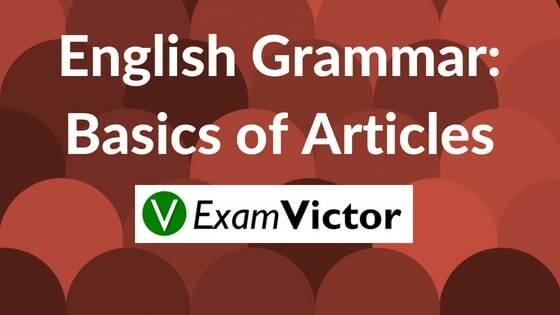 Articles in English grammar are words that you use in almost every sentence that you speak or write. Learn about the significance of articles, when to use them and some examples. An article is a word used to modify a noun, which is a person, place, object, or idea. Technically, an article is an adjective, which is any word that modifies a noun. Usually, adjectives modify nouns through description, but articles are used instead to point out or refer to nouns. There are two different types of articles that we use in writing and conversation to point out or refer to a noun or group of nouns: definite and indefinite articles. Each noun or group of nouns being referred to – in these cases freckles, alligator, and breakfast burrito – is direct and specific. In each case, the noun is not specific. The Mercedes could be any Mercedes car available for purchase, and the event could be any event in the history of the world. Specific identity not known: Use the indefinite article a or an only with a singular count noun whose specific identity is not known to the reader. Use a before nouns that begin with a consonant sound, and use an before nouns that begin with a vowel sound. Use the article a or an to indicate any non-specified member of a group or category. That man is a scoundrel. Use the article a or an to indicate one in number (as opposed to more than one). I own a cat and two dogs. Use the article a before a consonant sound, and use an before a vowel sound. Use the article the when a particular noun has already been mentioned previously. Use the article the when an adjective, phrase, or clause describing the noun clarifies or restricts its identity. The boy sitting next to me raised his hand. Use the article the when the noun refers to something or someone that is unique. All things or things in general: Use no article with plural count nouns or any non-count nouns used to mean all or in general. When indicating an unspecified, limited amount of a count or non-count noun, use some. My cousin was seeking some advice from a counselor (not advice in general or advice about everything, but a limited amount of advice). Through this blog post, we have provided the necessary details about Articles. Definition, Types and Rules related to Articles are clearly mentioned for easy understanding. For more English related posts, click on the links below. Also, let us know your suggestions or reviews in the comment section below.